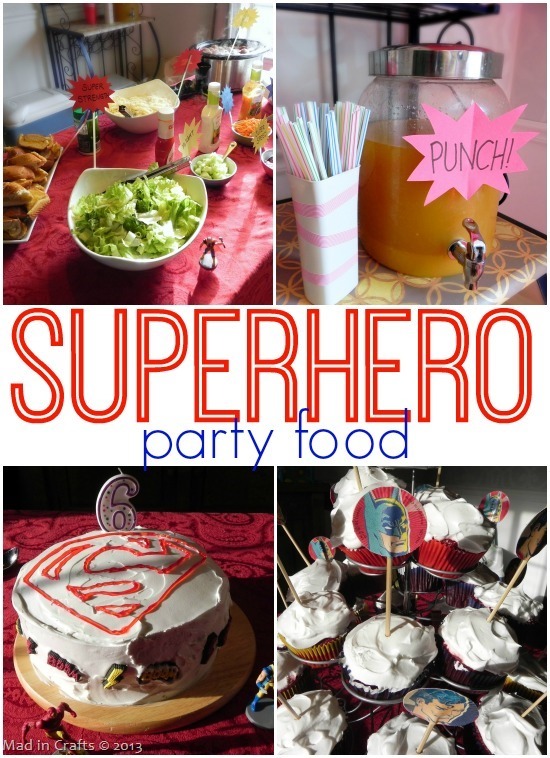 When my son asked me for a superhero birthday party this year, I thought it would fun to allow the kids to get superhero costumes to wear for the party. I didn’t want to spend money on yards of fabric though, and I definitely didn’t want to be sewing 10 little capes in the weeks before the party. 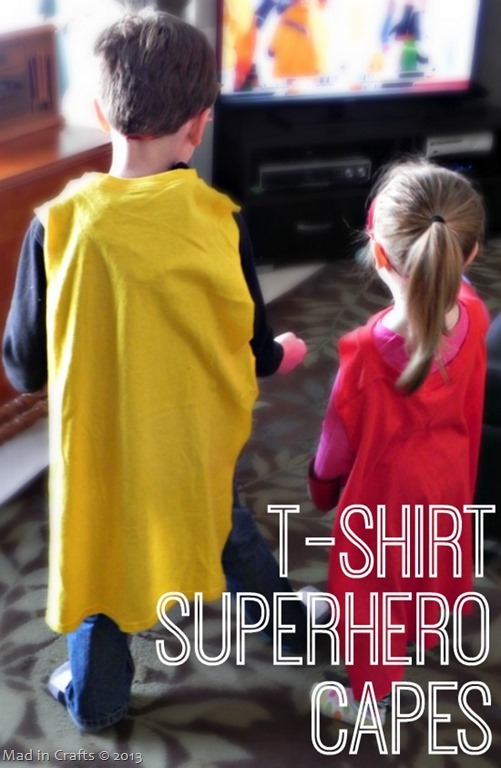 Thanks to my dad’s thrift shopping skills, I was able to turn some colorful t-shirts into easy t-shirt superhero capes for the guests at my son’s superhero party. 1. 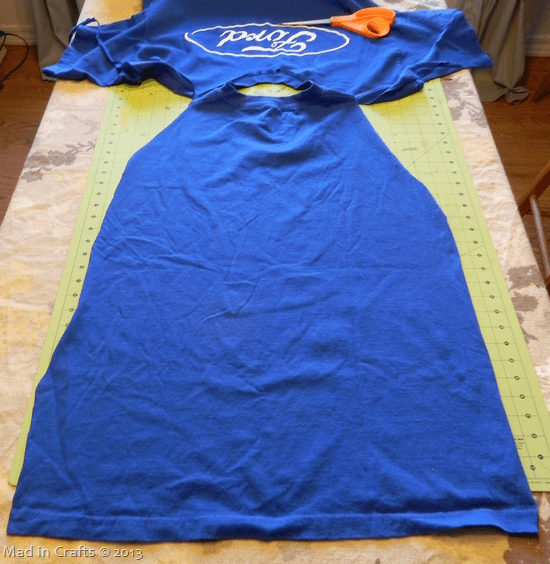 Lay the t-shirt flat and front down on a table or work surface. 2. 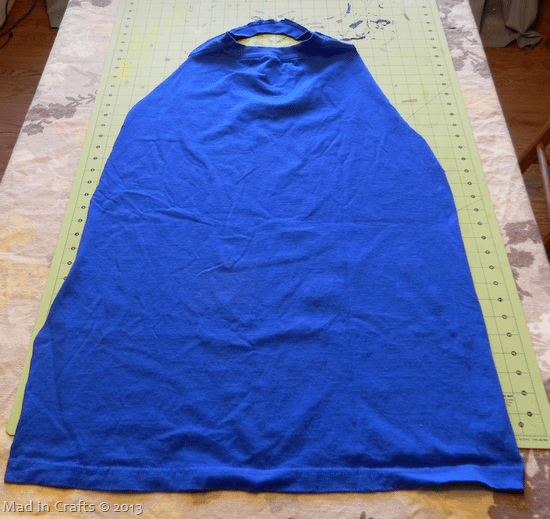 Cut up the sides of the shirt and toward the shoulders, ending 2-3 inches from the collar. 3. 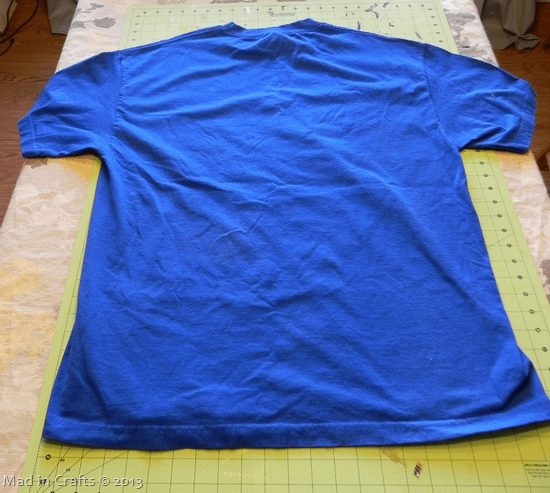 Flip the shirt open on your work surface. 4. 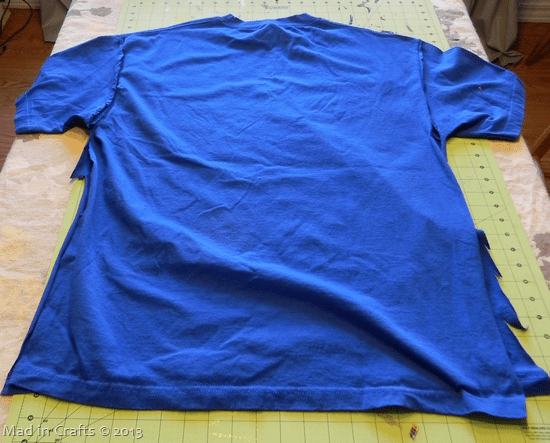 Cut around the front of the collar, keeping the collar intact. 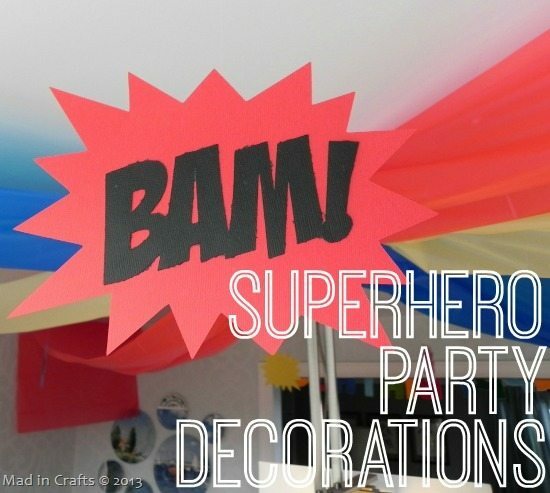 Make one or twelve — in as many bright superhero colors as you can find! 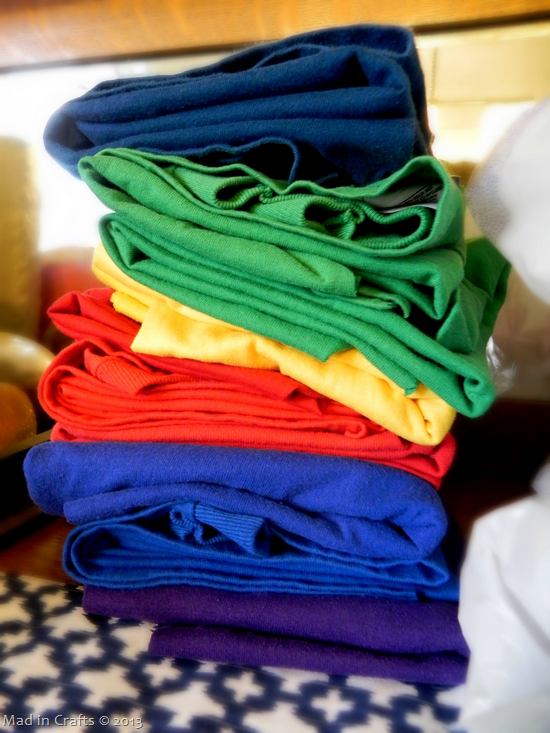 I made a rainbow of colors to satisfy all the guests at my son’s superhero birthday party. 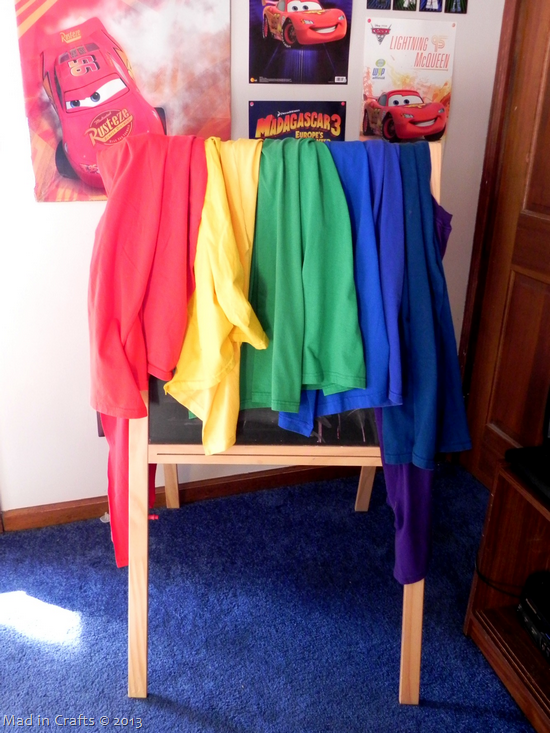 I made the capes using large thrifted tees, but Dollar Tree often carries solid color t-shirts as well, you just have to keep your eyes peeled. 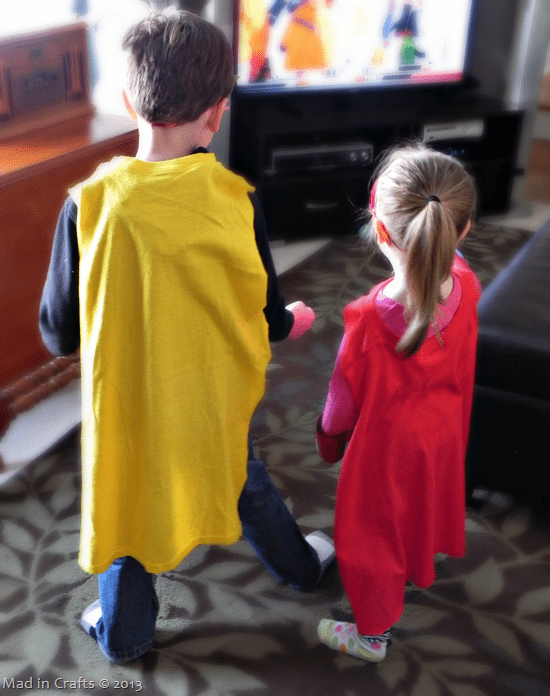 These capes are great for parties, Halloween or just for everyday dress-up time!